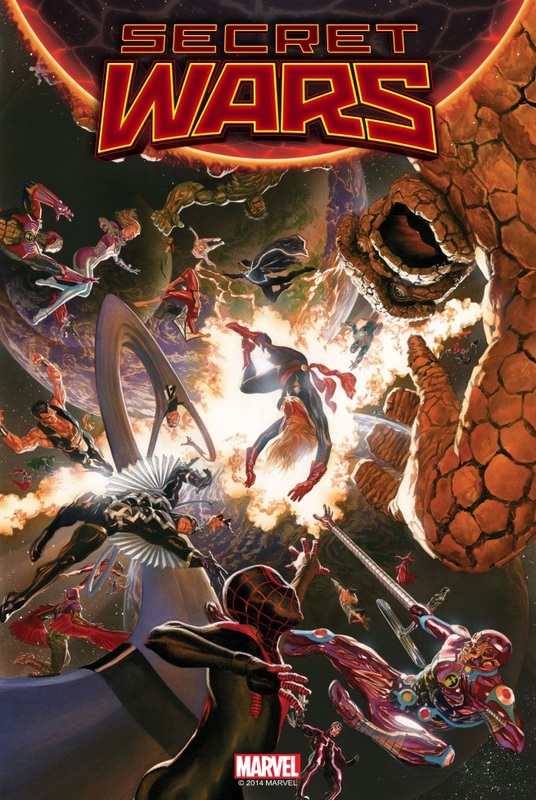 To say that the history of Secret Wars has a lot of moving parts is a vast understatement: Marvel’s mammoth summer event is a Russian Nesting Doll of moving parts, if Russian Nesting Dolls could time travel and break into the fourth dimension. Writer Jonathan Hickman and artist Esad Ribic’s eight-issue miniseries—set to conclude the Marvel Universe as we know it—lies on a foundation of 77 issues of comics Hickman’s been writing since 2012 in Avengers and New Avengers. These two series have featured scores of orbiting characters, emerging and receding in alternating story arc cycles to solve meticulous mysteries seeded years in advance. Most of the mysteries posed were solved in last week’s Avengers #44 and New Avengers #33. That said, if you’re curious about the building blocks of this event, want to understand what exactly this event will mean for the most popular editorial line in comics and want to learn about one of the coolest, most involved superhero story arcs in recent memory, we’re here to support you. Brevoort, whose maintained a borderline-omniscient knowledge on all things Marvel for decades, generously offers his insight and expertise on the characters and developments. 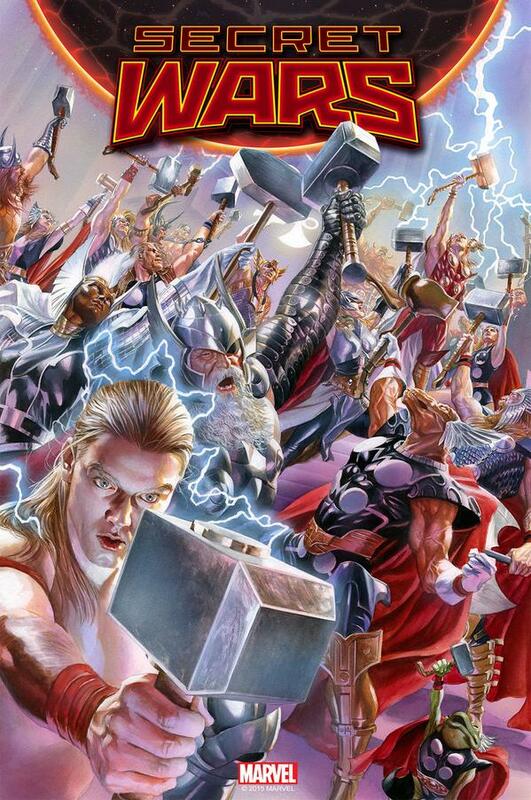 Even if you’ve only watched a Marvel movie like Avengers: Age of Ultron without reading a comic, Secret Wars offers a simple, enticing hook: the world is ending for an entire world of beloved superheroes. Done. The universe where such iconic characters including The X-Men, The Avengers, Spider-Man, Fantastic Four and The Inhumans fly, fight and love has reached a violent extinction point. That failure to prevent the cosmic apocalypse occurs in the pages of Secret Wars #1, but before we address exactly why the Marvel Universe falls into the end times—and who’s responsible—we’re going to look at how this sprawling event influences the other 70 comics that Marvel publishes monthly. How Does Secret Wars Affect Other Marvel Comics? “Canceled implies they sold poorly and we’re ending them,” Brevoort clarifies. “They’re reaching their 616 conclusion, which is to say that the Marvel Universe’s fan designation was 616, because there was a story once that designated it as such. That doesn’t mean that Captain America isn’t selling; it means that Captain America’s 616 adventures are ending here. And then, eventually, as we get into Secret Wars, the new Marvel Universe Captain America book will launch. Who will be Captain America, and what will be the circumstances of Captain America? That is all to come.” So if you do like some of the comics coming out that have been slated for their “616” cancellation, keep in mind they’ll most likely re-emerge after this event concludes, albeit with a potentially different creative team. This even applies to more character-driven series that might not interact as much with other comics or company-wide crossovers, such as Unbeatable Squirrel Girl. But each comic will be ending gradually in its own time. “We’re not stopping everything quite on a dime. Having a rolling handoff between the old Marvel Universe and the new Marvel Universe is how we are proceeding with this. Even books like Unbeatable Squirrel Girl and Punisher will get to their 616 conclusion, and then some iteration of them—or some book like them—will emerge on the other side as part of the new Marvel Universe,” Brevoort says. Click to discover how the Marvel Universe is ending, how Doctor Doom Started his own religion and to learn the secrets of Battleworld.